This property divides up nicely into 3 x two bedroom units with a large shared kitchen/ diner and lounge, therefore would be ideally suited to groups of two. Please look at the floor plan to see how this would work. Newly converted duplex apartment opposite Plymouth University and minutes from Plymouth College of Art. Large, 6 bedroom (two en-suite) duplex apartment situated in a beautiful period property with exceptional communal facilities. This contemporary apartment spans two levels, offering four large study rooms (with double beds) on the entrance/ ground level (two en-suite), and two on the lower ground floor. In addition to the en-suite rooms, there are 2 further shower rooms, each with shower, wash hand basin and WC. Furnished to an exceptional standard the communal areas are generous, boasting a large lounge with smart TV (license provided) and two sofas. The kitchen/ diner offers a sink, washing machine, tumble dryer, dishwasher, 2 x fridge/ freezers, cooker, microwave, dinning table and chairs. In addition, this duplex apartment has a private internal courtyard AND a private rear yard for tenant’s sole use. 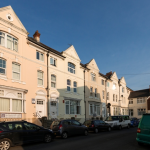 Our student apartments are less than 250 metres from Plymouth Uni. Rents are inclusive of broadband, gas, electric, water (up to a usage cap of £10 per person, per week). We do not require deposits, administration fees or guarantors, and provide individual tenancy agreements. 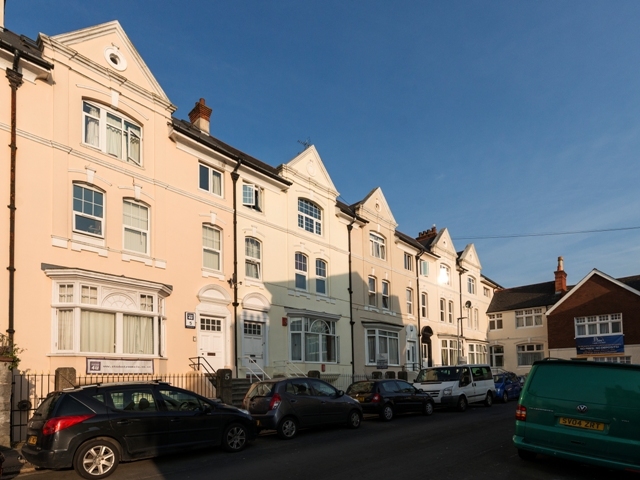 As owners of our student apartments, we have a genuine interest in maintaining them to a high standard – therefore our property maintenance service is probably the best you’ll find!